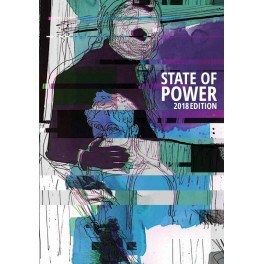 An annual anthology on global power and resistance. Popular movements everywhere are on the rise at the same time as we face ever-greater corporate impunity and increasing state violence. In TNI's seventh flagship State of Power report, we examine today's social movements, their potential to build counter-power, and how we can best resist injustice as well as lay grounds for long-term transformation. As hundreds of thousands of women prepare to join more than 250 marches across the US and the world, three inspiring social movement leaders from Honduras, India and South Africa share their perspectives on how to build durable and effective popular movements. The revolutions of 1968 have an ambivalent legacy - they both regenerated capitalism but also experimented with forms of participation and transformative power that can and are inspiring today's social movements. Real emancipation emerges out of the universalist thinking that emerges from collective struggle and must not be conflated with the politics of representation whether by parties or states. Movements are not enough to build counter-power. There is a need for a new kind of political party to mediate organized and diverse peoples and to rebuild the connective tissue that binds society and politics. How can movements in the US build counter-power out of Trumpian madness? Against the odds, a new vision is emerging that seeks to bring together a systemic critique with an embodied practice based on shared decision-making, solidarity economics and community-based approaches to prosperity and security. Without translation, no hay revolución! Language – and thus translation and interpretation – is about access, about participation, about power. How can we bring about language justice within transnational social movements? The Mexican government's decision to acknowledge access to water as a human right led to a massive civil society response including 99 public forums to define what good water governance looks like. What can we learn from the experience? What if, rather than the barricade, we were to think of counter-power in terms of a space such as a community garden? Against a backdrop of state and corporate violence that threatens the lives of the poorest, many communities in Latin America have created self-defence groups and community police forces. How do these counter-power structures differ from those of the state? Acclaimed Egyptian artist, Ammar Abo Bakr provided the illustrations for the essays supported by the graphic designer Adam Shalaan. The web design was by Evan Clayburg. Here Ammar reflects on the process and the importance of the 'glitches' in the illustrations. All these reports can be downloaded for free on TNI's website.